Good writing has never mattered more. Clear, effective communication is crucial to the success of your projects and programs. It’s only wise to seek professional assistance when it counts. From brief talking points for an important meeting to formal reports or grant applications, I can help. I will find out what you need to know, communicate it in the best style and voice for your audience, and publish it—or not, depending whether it’s intended for the world, your organization, or just for you. Why use a freelance writer? To augment your staff at a busy time. To bring fresh enthusiasm and gain a new point-of-view. To finish that project you can’t seem to get around to. I have experience with many types of documents and publications. You can review samples of my work here. Below is a selection of the kinds of documents and publications I can create for you. If you need something that is not on this list, I can probably still help. Let’s talk! Editing services are included with any document I create for you, but I can also help strengthen a document you have already created. 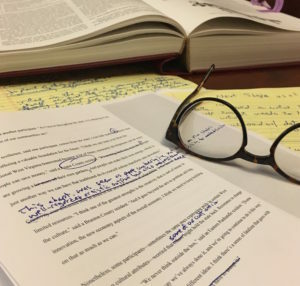 My offerings include both copy editing (checking for spelling, grammar, punctuation, and syntax errors) and feedback on document structure and use of language. Sometimes you just need a second set of eyes. When your document is ready for submission, distribution, or publishing, I can lay it out and provide it to you in whatever form best fits the project goals: an editable Word document; a print-ready PDF; a stack of full-color bound reports; or pages on your website. I can also create Word or Excel templates to help your organization continue to produce professional-looking documents even after our work together has concluded.